This entity has Utah Teapot as base shape. Bottom of this teapot is in Vertex(0.0, 0.0, 0.0). 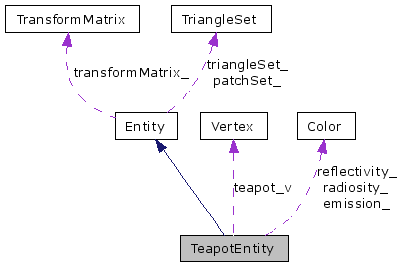 See documentation of Entity class for more information about transformations, patch division, etc. Definition at line 18 of file TeapotEntity.h.